[PTT AEROL SYNTHETIC S] น้ำมันหล่อลื่นเครื่องอัดอากาศชนิดสังเคราะห์แท้ 100% ช่วยเพิ่มประสิทธิภาพการหล่อลื่น รวมถึงยืดอายุการใช้งานของเครื่องจักร Fully synthetic air compressor oil formulated to provide outstanding lubrication and prolonged service life, they restrain many problem commonly encountered with mineral lubricants. • Suitable for screw and rotary vane type compressor which require long life service. 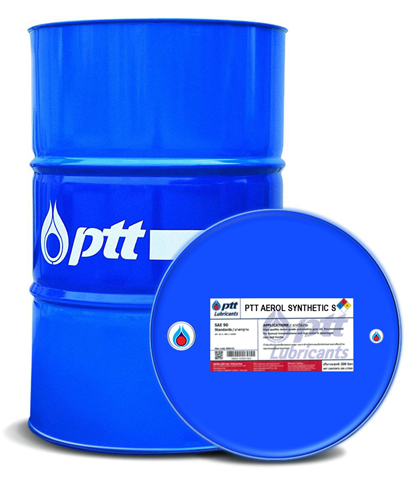 • Can be used in any type of compressor at which OEMs require lubricant formulated with antioxidant, antiwear and rust preventive.